Solutions for all your transition needs. We’re much more than a moving company. We support you and your aging parents before, during, and after the move, making it as stress-free as possible. Committed, caring, and compassionate, so that your loved ones have a Soft Landing. Ready for your Soft Landing? Get a one hour no charge consultation and talk to us about your needs. We’ll come to you to make everything easy. How do we decide what to move? What do we do with everything else? We are excited to announce that we have been awarded the NASMM A+ Accreditation for its excellence in Senior Move Management operations and client services. This accreditation decision represents the highest level of professional achievement that can be awarded to a Senior Move Management company, and demonstrates the organization’s substantial conformance to NASMM standards. 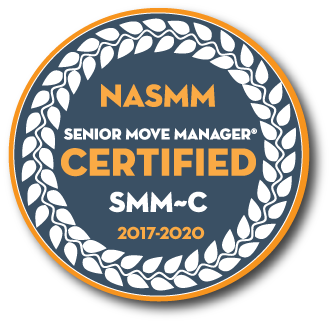 We are pleased to announce that our Founder has attained Certified Senior Move Manager (SMM-C) status from the National Association of Move Managers. We are continually learning to support our families in the highest professional and ethical manner. Click on the press release below for more information. We provide resources for seniors and their families to continue living life to its fullest. Capital Manor Salem– Thank you! We had a lot of fun with our “We survived downsizing, you can too!” event. Ask us how! This is from an adult child who we assisted moving her Mom into Russellville Park. We not only help our clients directly but also help any adult children with the moving process. It may be time to do more than a little spring cleaning! Please join us at Capital Manor in Salem on Wednesday, April 17th. Please RSVP directly with Capital Manor. "Thank you for not only performing the many tasks of sorting, organizing and packing, but for also being an extra sister and daughter who came to help with getting the work done. You stepped in at a time when compassionate help is just what we needed for me and my parents." "Thank you for making this difficult project so much less painful for me. After my father’s death, followed by my mother’s, I just didn’t know where to begin. I sincerely appreciate your professionalism and compassion. " "Soft Landings, Solutions for Seniors has been invaluable to my senior clients. Their transition from the family home to a more manageable smaller home seemed effortless with their help." "We think it is admirable what you are doing! And hugely timely. Our culture is into the age of providing and receiving services, and most especially, we seniors are into the needing end of that equation. Blessings on your venture." "I have done business with Theresa for many years. She is diligent, compassionate, and reliable. It is hard to find someone who you can give a problem to and they will follow through to help you in any way they can. Theresa is such a good person and so much more. She will get the job done and done well." "I have nothing but positive remarks about Theresa Giddings. Not only does she provide services with a smile, I know that I have invested in a competent, caring, compassionate individual. She has completed many projects for me on time in the utmost professional manner. I would highly recommend this individual and Soft Landings for ANY needs you may have, you will be in good hands!!!" "I have known Theresa for many years, in both a work and personal setting. 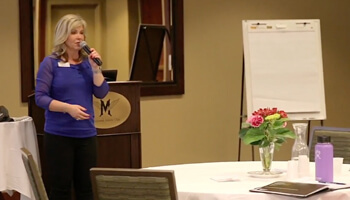 From the day we first met at a conference for retirement planners, I've been impressed with her passion for helping others and her willingness to stand up for what she thinks is right and put her clients best interest first. In addition to being very smart and experienced in accounting and retirement planning, Theresa has a real ability to connect with people on a personal level. She cares. And because of this, I know her next endeavor working with transitioning seniors at Soft Landings will be a huge success!" Feeling the squeeze of multi-generational home demands, children of aging parents are struggling to learn innovative eldercare management strategies and often find themselves overwhelmed by the many facets of caregiving. 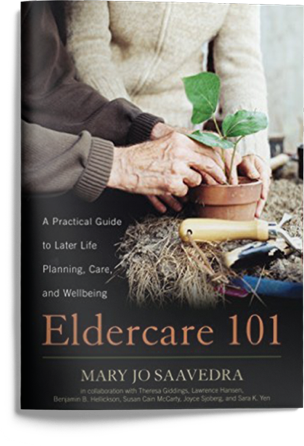 Eldercare 101 is the answer to making order from chaos.